Αν αυτό που ψάχνετε είναι ένα ξενοδοχείο σε καλή θέση στη Hanoi, μην ψάχνετε πέρα από το Hanoi La Siesta Hotel Trendy. Σε απόσταση μόλις 0 km από το κέντρο της πόλης και 35 km από το αεροδρόμιο, αυτό το 4 αστέρων ξενοδοχείο προσελκύει αρκετούς ταξιδιώτες κάθε χρόνο. Με την βολική του τοποθεσία, το ξενοδοχείο προσφέρει εύκολη πρόσβαση στους προορισμούς της πόλης που πρέπει οπωσδήποτε να δείτε. 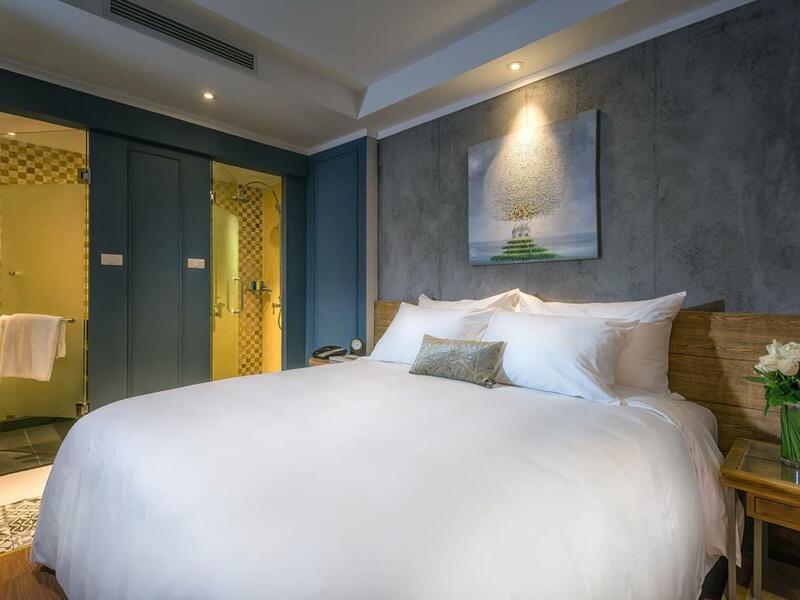 Στο Hanoi La Siesta Hotel Trendy, πραγματοποιείται κάθε προσπάθεια για να αισθανθούν άνετα οι επισκέπτες. Για να το πετύχει αυτό, το ξενοδοχείο προσφέρει τις καλύτερες υπηρεσίες και ανέσεις. Για να ονομάσουμε μόνο λίγες από τις εγκαταστάσεις του ξενοδοχείου, υπάρχουν τα δωρεάν WiFi σε όλα τα δωμάτια, 24ωρη φύλαξη, ημερήσιος καθαρισμός, κατάστημα δώρων/σουβενίρ, ταχυδρομική υπηρεσία. 60 δωμάτια μοιρασμένα σε 11 ορόφους παρέχουν ένα ζεστό και ευχάριστο σπιτικό μακριά από το δικό σας. Σε επιλεγμένα δωμάτια θα βρείτε μοντέρνες ανέσεις όπως δωρεάν τσάι, ντουλάπα, πετσέτες, κρεμάστρα ρούχων, ζυγαριά. Το ξενοδοχείο προσφέρει φανταστικές εγκαταστάσεις, συμπεριλαμβανομένων των σπα, μασάζ, για να σας βοηθήσουν να χαλαρώσετε μετά από μια γεμάτη δράση μέρα στην πόλη. Ανακαλύψτε ένα ευχάριστο μείγμα επαγγελματικών υπηρεσιών και μια μεγάλη ποικιλία ιδιαίτερων χαρακτηριστικών στο Hanoi La Siesta Hotel Trendy. There is no window in room type Cozy Deluxe Double and Twin Room. What a fabulous hotel. As soon as we walked in, the staff were super smiley, friendly and welcoming. It is probably the best welcome drink I’ve ever had (shaken mocktail on the spot with a selection of fruit and dried apricots)! The room was swish and comfortable and the location was fantastic. We slept well, (windowless was probably a bonus) and the breakfast was absolutely amazing! Also, probably one of the best hotel breakfasts I’ve ever had. I particularly enjoyed the sushi, pho and passionfruit mousse to finish...YUM! Wish we had stayed here for the entire duration of our stay in Hanoi. Would highly recommend. The staff/people at the hotel really made our stay an excellent experience. 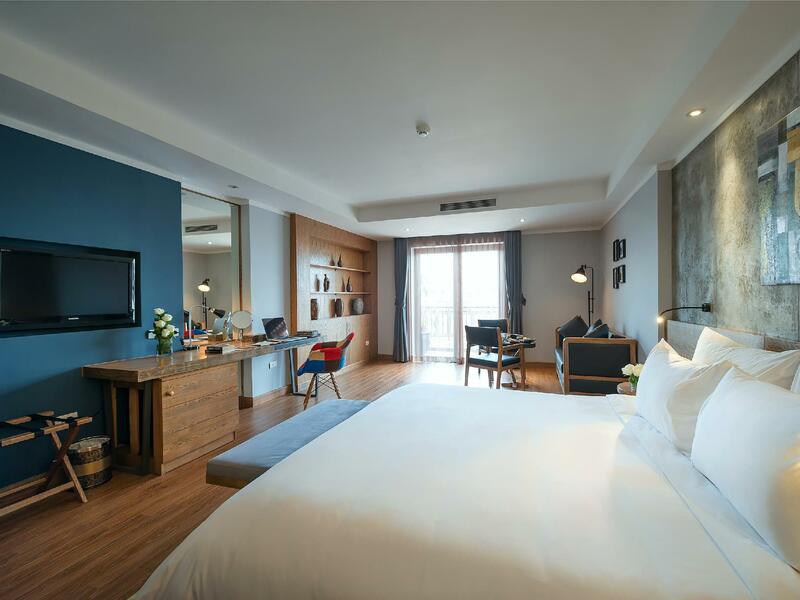 They go above and beyond to make sure that their guests have what they need and are equipped to enjoy Hanoi! The spa was also quite relaxing and fabulous. We really enjoyed our stay here. I really liked the boutique design of this hotel. Very nice, .clean and modern. Excellent customer service. Excellent breakfast. The only thing is that the bathroom is slightly small, and it can be a little bit noisy. Overall, impressed with the place. While the room was fine, seriously just fine... Red Bean was fantastic, The Den Bar was seriously underrated, Le Spa was competent, and the staff was excellent, excellent, excellent. Very well spoken English and helpful locals, who were enthusiastic about making my stay an enjoyable one. I’ll revisit just for the hospitality rendered. I had spend 3 nights in this Hotel and can say that I was vert pleased with the service. The Hotel is in a quiet side Road in Hanoi Old Town. I had no problems sleeping with an open Window. The breakfast was amazing with a huge variety on the buffet + all carte options. I had additionally 1 x Lunch buffet which was very good as well. The people working here are truly outstanding from the moment you check in until checkout. Warm and friendly. Never had a better check in experience. Will definitely come back. I stayed 3 nights. Every detail is so meticulously taken care of by the staff. I feel so welcomed in Hanoi and take comfort in knowing that everything is taken care of by the staff. Also LOVE the breakfast which was buffet style but with additional menu choices - so much to eat and drink! Loved the modern chic hotel decor. Rooms were on the smaller side with lower ceiling height and space saving cabinet features. What stood out was what to us was the best breakfast amongst the few properties we stayed during our time in Hanoi. Service was excellent all around, genuine and always with a smile. It was wonderful. Thanks for warm-welcoming! We were in Hanoi for the first time during TET last week. Enjoyed the food and coffee. Love the hotel! Love that it's so new and clean. Very trendy hotel with lovely decoration and art pieces. Great breakfast. Good location. Amazing staff. Will definitely stay there when we return . Thank you for an amazing hospitality! First off, Jayson made our stay there perfect. We came from cheaper accommodations in the city and La Siesta Trendy was pure luxury. I was thrown off by the price at first but didn’t realize this was a 5 star hotel with an amazing restaurant (which I regret we only had breakfast there). 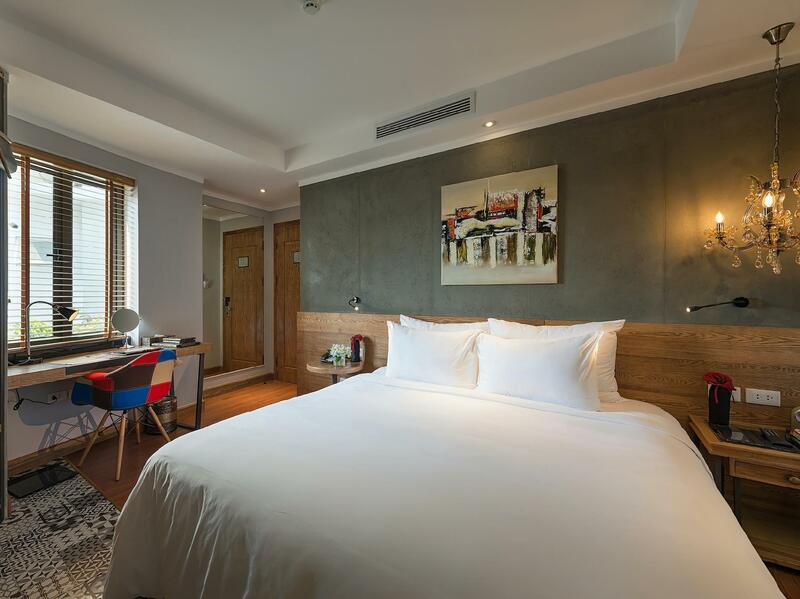 Do Yourself a favour and “splurge” for this hotel in Hanoi! I would like to say this is a 5 star hotel from me which hotel provided an excellent services. When we arrived Alex and hotel staffs provide us a warm welcome with welcome drink, fruits & nuts. Alex even introduces us some restaurants for dining. 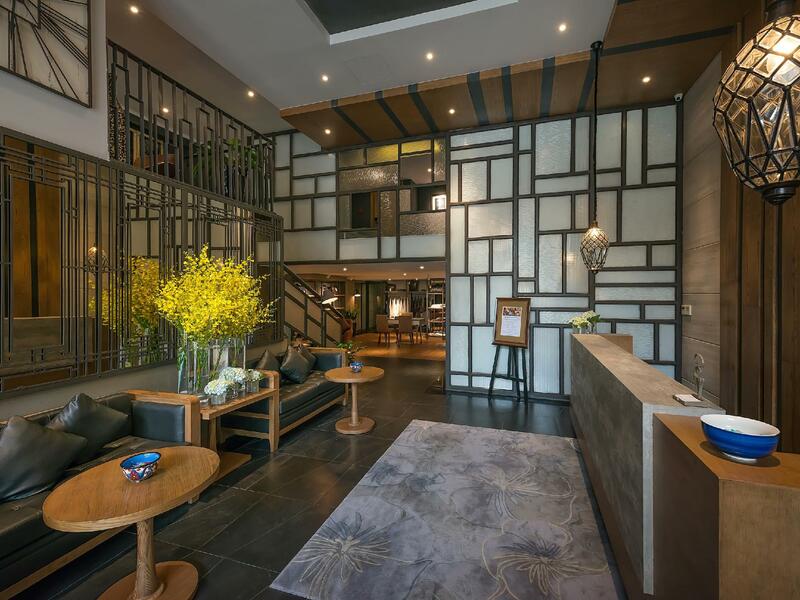 Definitely will turn to this hotel is I’m going Hanoi. It's our first time staying with La Siesta Hotel and we were glad we chose this hotel. We arrived in Hanoi at 5am after taking an overnight train from Sapa/Lao Cai. The reception staff was very helpful and attentive to help us settle down even though we were too early for check-in (we just dropped off our luggage). Overall experience was wonderful. Staff spoke good English and always on a look out to help. Location wise, it's not the nearest to the Hoam Kiem lake area. However, you get to enjoy some tranquillity amidst the busy, noisy streets of the Old Quarter. In any case, you can grab a taxi or grabcar easily and it's a short 5-15mins around Old Quarter depending on traffic. 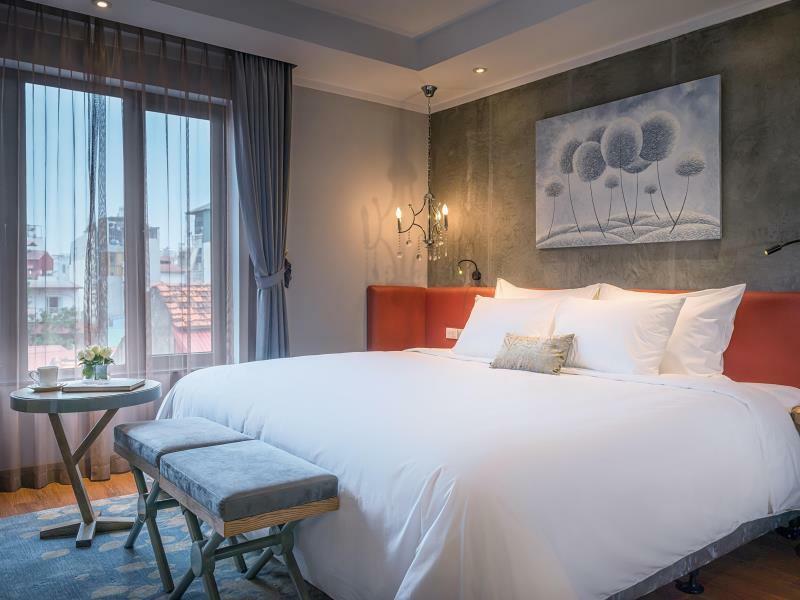 Hotel is also near the Phở Gia truyền Bát Đàn (arguably the best pho in Hanoi as recommended by the hotel staff), and Tranquil Books & Coffee cafe (a great hideout for some coffee and reading). 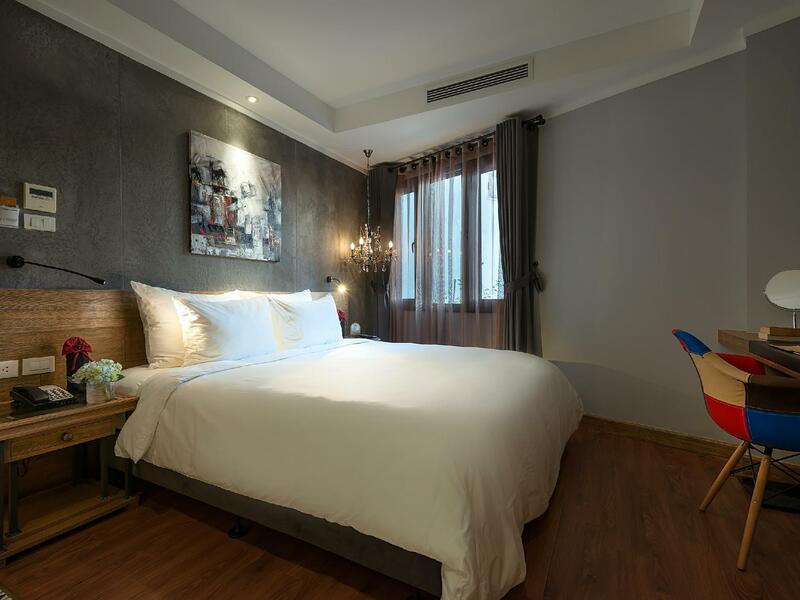 This is an excellent and very well managed boutique hotel. The suites are comfortable and well appointed. The restaurant is excellent as is the 'Den' - the basement cocktail bar. The luncheon 'street food' fare is not to be missed with an excellent selection of delicious 'street food' from all corners of Vietnam. The hotel is situated in the Old Quarter with an easy walk to the lake. Last but not least the staff are excellent - helpful, good humoured and competent. Well done GM Mr Nguyen Minh Tuong and Red Bean Trendy restaurant manager Ms Helen Nguyen. Firstly i got to say the service was impaccable, it was really good! all the staff were equally friendly and very helpful. location was good easy to access. room was fantastic. just one tiny little isssue was the hot water during shower. its a little slow while waiting for it to come. but other than that, i would definitely recommend it for anybody looking to stay in Hanoi :) Good Job!! We had a lovely stay in the hotel .Hotel staffs are very friendly and they remember all of us. Hotel are lovely especially breakfast, lots of variety ! Street food buffet are amazing . All the tours arranged of Recommended by the hotel are great tour too! Good value! Σιδηροδρομικός Σταθμός Hanoi στα 0.98 χλμ.